Duotone by UltraSeps generates precise and accurate duotone separations using a maximum of 4 inks including an underbase white, duotone color, duotone contrast and highlight white. Included are automated duotone color swapping actions to change the color of the channels, or the end user can easily experiment their own color preferences. We’ve also added a discharge ink function to assist with generating duotone separations when using discharge as opposed to standard plastisol inks. Although Photoshop itself includes a duotone function, its not engineered or intended for t-shirt screen printing. 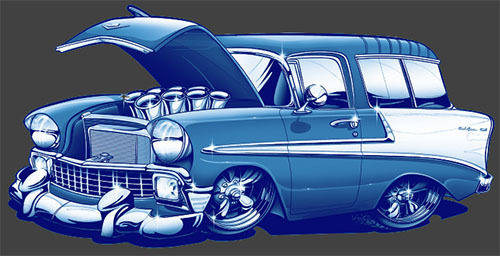 Our software resolves this problem and makes duotones in Photoshop easy for screen printing. 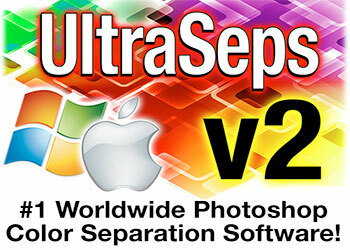 Duotone is not part of UltraSeps v2 or QuikSeps Pro and is available only as a separate purchase. It must be installed independently along with the Actions loaded into Photoshop. Speed Up That Old Windows System Cheap! Why Is Index Color Mode A Part Of Photoshop? Why Should I Create An Account On PShopMagic? 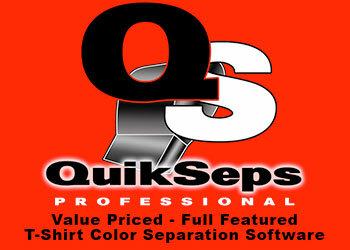 PShopMagic is a brand new site launched by the developer of UltraSeps and QuikSeps color separation software. I’ll be adding many more new and inventive Photoshop Actions and Plugins going forward so make sure to stop by weekly to see what’s up! @Mets #1 Swap out Nimmo with Smith #3 Swap out Davis with McNeil And yes, I was taught to count by Callaway. @WFANmornings The football has got to go. Makes it look like a peewee league logo.